In view of limited funding for healthcare, there is a great need and potential for simple, high quality and affordable diagnostic products in the developing world. 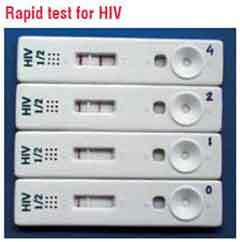 At present, Immunochromatography-based Rapid Diagnostic Tests are able to meet their requirement to some extent. Innovative molecular diagnostic tools are seen as the future successful products. The healthcare challenges faced by the developing countries are vastly different from those in the developed nations. Owing to the high poverty levels, there is a great dependency on the state for healthcare, the delivery of which has at best been mediocre and highly mismanaged. With very limited budgets available for healthcare, the developing countries have not been able to put up any significant infrastructure to address their huge disease burden. The resulting high morbidity and mortality rates and huge treatment costs further impact their economies. Lack of clear cut policies and a poor regulatory environment further add to the suffering of the people. Typhoid and Dengue still take a huge toll on the populations and economies of the developing world. Apart from inadequate preventive measures such as improper sanitation, hygiene and vector control, one of the most important reasons for the failure to cure these diseases is inappropriate treatment. As the treatment interventions are largely empirical and based on clinical diagnosis, wrong treatment arising out of misdiagnosis not only increases the cost of treatment by way of further costly interventions, but could also lead to morbidity and mortality. It is also the main cause for building resistance to conventional drugs. Effective diagnosis is a prerequisite for successful therapy and early and accurate diagnosis results in timely and appropriate treatment. In vitro Diagnostic (IVD) tools are available for providing effective diagnosis. IVD includes a broad spectrum of technologies and technological platforms comprising reagents, test kits and equipments. These are used singly or in combination to detect / estimate specific analytes and disease-specific markers in specimen such as blood, urine, saliva, tears, cerebrospinal fluid and other body fluids, stool and tissues outside the body. 1. Accurate diagnosis of clinical condition and disease; 2. Screening population for disease / disease prevalence / disease predisposition; 3. Prenatal and postnatal screening; 4. Transfusion medicine—screening of blood for compatibility and blood-borne diseases; 5. Clinical management of patients—monitoring treatment and treatment efficacy; 6. Detecting treatment failures / drug resistance; 7. Disease surveillance / epidemiology. 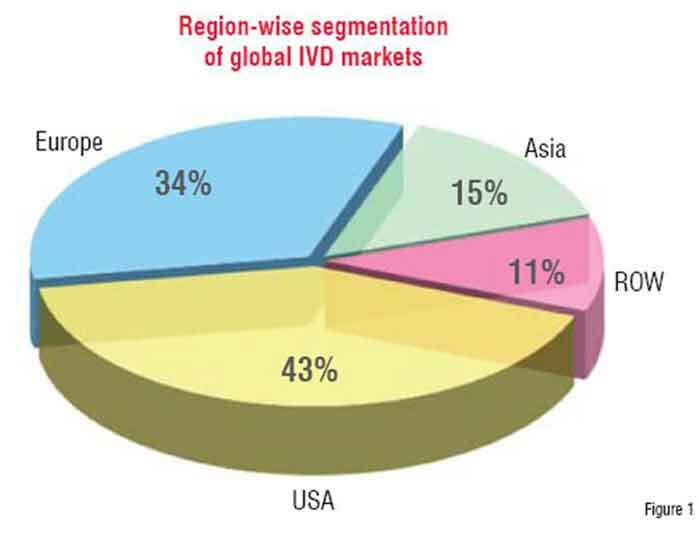 However, as can be seen from the worldwide market analysis of IVDs in figure 1, there is very limited usage of these tools in the developing world. USA itself accounts for over 43 per cent of the market. Asia contributes to 15 per cent of this market followed by rest of the world at 11 per cent. 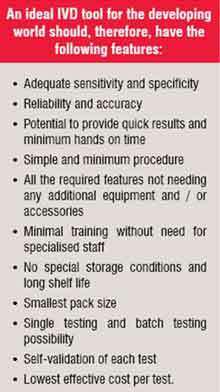 • Logistic issues such as storage, pack size, shelf life, transportation etc. • Mass education and awareness campaigns, especially in endemic areas. 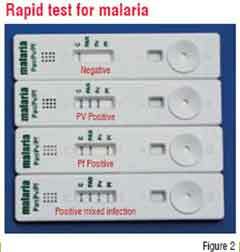 In the last few years, the developing markets have seen a significant rise in the use of Rapid Diagnostic Tests (RDTs) that meet most of the criteria of an ideal IVD. RDTs, as the name indicates, provide quick results (5-30 minutes), are simple, user-friendly, ready to use products that do not require instrumentation or trained manpower and have a long shelf life at ambient conditions. 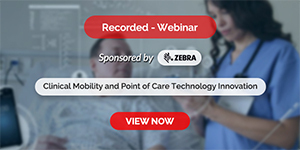 They are also ideal for use as Point-of-Care Tests (POCT) where the testing can be done alongside the patient in any setting. Some examples are: While they have made a significant impact in diagnosis of some diseases such as malaria and HIV, RDTs for many more diseases are available and are in the process of integrating into healthcare systems. However, RDTs still have limitations of sensitivity and specificity for many conditions and hence, further improvements and refinement is required in this technology to make these tests more universal. Currently, molecular diagnostic platforms that allow direct detection of target DNA / RNA of the infecting organism require instrumentation, trained manpower, special storage conditions, special laboratory infrastructure etc. and hence are not ideal for the developing countries. However, the future is likely to see the development of novel, simple and inexpensive molecular platforms and other technologies such as microfuidics and nanotechnology that could be used for better disease management in these countries. Humanitarian and aid agencies are playing a big role in providing and encouraging the use of IVDs in developing countries. The global fund for malaria, HIV and TB is also making available funds for procurement of IVDs by the recipient countries. World Health Organization (WHO) is playing an important role in setting quality standards and evaluation criteria for ensuring the quality of IVDs by procurement agencies. Organisations such as WHO, FIND, DFID etc. are funding projects to provide better and novel technologies for the developing world including the development of IVDs for ‘orphan’ diseases that were earlier neglected by the industry for the lack of profit motif. There is also tremendous activity in the industry itself with many regional players entering the market with better quality products and creating a competitive environment that can only see more novel products, higher standards of quality at more affordable prices. quality of life, reduce disease burden of the country and also make a positive impact on the economies of these countries. Natarajan Sriram is the founder Director / Managing Partner of a group of companies under the banner of “Tulip Group”, all in the field of medical biotechnology, based in Goa, India and manufacturing and marketing a range of medical diagnostic reagents and kits. He is a panel member of Diagnostics Evaluation Experts Panel set up by the WHO, functioning as a temporary advisor to WHO. He was also a panel member of the experts committee set up by the Drugs Controller General (India) that formulated the current national Diagnostics Guidelines.